Comparative politics, democratization, political economy, local politics, political participation, corruption, political legitimacy, postcommunist politics, Russia, Central Asia. Dr. McMann currently is conducting research on how democracy spreads within countries. Once a national government has introduced civil liberties and permitted elections how do these practices diffuse within a country? Or, alternatively, how do practices in a more democratic part of a country spread to others parts until these practices are ultimately adopted by the national government? She is using statistical data and case studies from around the world to study this. Related to this project, McMann is also the manager of the subnational politics section of Varieties of Democracy. McMann and the other Varieties of Democracy team members were selected for the 2016 Lijphart/Przeworski/Verba Data Set Award from the American Political Science Association. The dataset is being used by the World Bank, the United Nations General Assembly, the U.S. Agency for International Development, Transparency International, and scholars around the world. The dataset has been downloaded more than 71,000 times in more than 150 countries since its first release in January 2016. In other work McMann is examining the impact of democracy on corruption globally. This follows from her earlier research on market reform and corruption, published in the book, Corruption as a Last Resort: Adapting to the Market in Central Asia (Cornell, 2014). This book received honorable mention for the Ed A. Hewett Book prize for “an outstanding monograph on the political economy of Russia, Eurasia and/or Eastern Europe”. McMann has continued her research on Eurasia by collaborating in the spring of 2015 on mass surveys in the region about media usage and attitudes toward foreign countries. Earlier, McMann investigated how citizens’ economic relationships with the state influence their willingness to engage in civic activities essential to democracy. She described the findings from this investigation in her book Economic Autonomy and Democracy: Hybrid Regimes in Russia and Kyrgyzstan (Cambridge University Press, 2006). 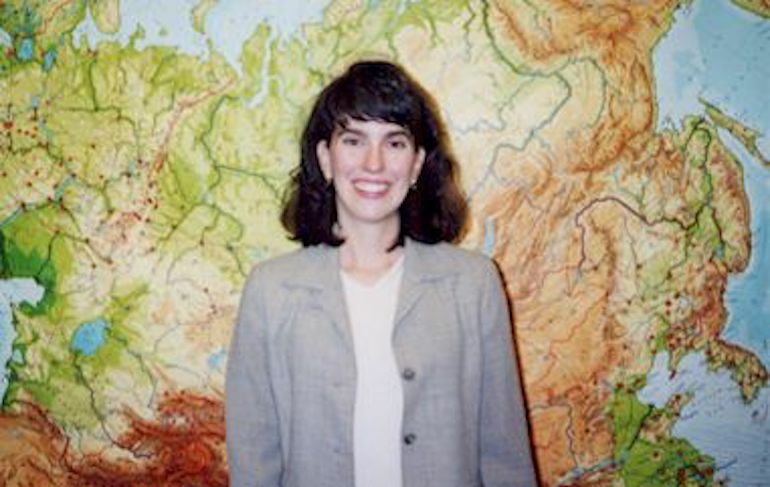 McMann’s research in Russia, Kazakhstan, Kyrgyzstan, and Uzbekistan has been funded by the National Science Foundation, the National Endowment for the Humanities, the Social Science Research Council, the National Council for Eurasian and East European Research, and the International Research & Exchanges Board. Her courses include Introduction to Comparative Politics, Political Science Research Methods, Transitions to Democracy and Dictatorship, State-Building and State Collapse, Politics of Central Asia, Politics of Russia, and an interdisciplinary seminar entitled Evidence. Dr. McMann received her Ph.D. from the University of Michigan in 2000 and conducted research at the Davis Center for Russian and Eurasian Studies at Harvard University before coming to CWRU. McMann is the director of the International Studies Program.